When Microsoft added support for Linux in SQL Server 2017, it opened the possibility of deeply integrating SQL Server with Spark, the HDFS, and other big data components that are primarily Linux-based. SQL Server 2019 big data clusters take that to the next step by fully embracing the modern architecture of deploying applications – even stateful ones like a database – as containers on Kubernetes. Deploying SQL Server 2019 big data clusters on Kubernetes ensures a predictable, fast, and elastically scalable deployment, regardless of where it is deployed. 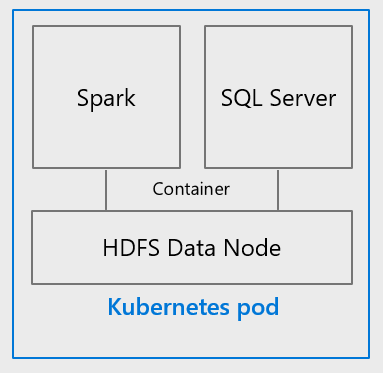 Big data clusters can be deployed in any cloud where there is a managed Kubernetes service, such as Azure Kubernetes Service (AKS), or in on-premises Kubernetes clusters, such as AKS on Azure Stack. Built-in management services in a big data cluster provide log analytics, monitoring, backup, and high availability through an administrator portal, ensuring a consistent management experience wherever a big data cluster is deployed. While extract, transform, load (ETL) has its use cases, an alternative to ETL is data virtualization, which integrates data from disparate sources, locations, and formats, without replicating or moving the data, to create a single “virtual” data layer. Data virtualization enables unified data services to support multiple applications and users. The virtual data layer—sometimes referred to as a data hub—allows users to query data from many sources through a single, unified interface. Access to sensitive data sets can be controlled from a single location. The delays inherent to ETL need not apply; data can always be up to date. 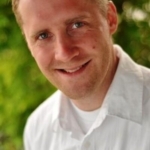 Storage costs and data governance complexity are minimized. 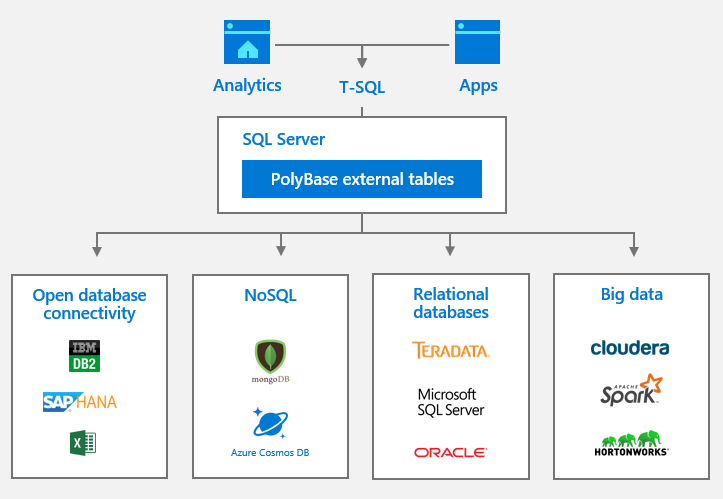 SQL Server 2019 big data clusters with enhancements to PolyBase act as a data hub to integrate structured and unstructured data from across the entire data estate–SQL Server, Azure SQL Database, Azure SQL Data Warehouse, Azure Cosmos DB, MySQL, PostgreSQL, MongoDB, Oracle, Teradata, , HDFS, and more – using familiar programming frameworks and data analysis tools. 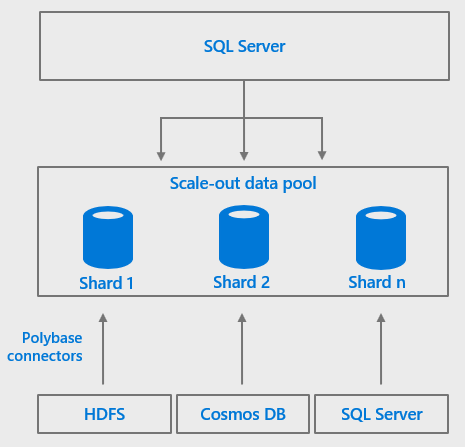 Performance of PolyBase queries in SQL Server 2019 big data clusters can be boosted further by distributing the cross-partition aggregation and shuffling of the filtered query results to “compute pools” comprised of multiple SQL Server instances that work together. When you combine the enhanced PolyBase connectors with SQL Server 2019 big data clusters data pools, data from external data sources can be partitioned and cached across all the SQL Server instances in a data pool, creating a “scale-out data mart”. There can be more than one scale-out data mart in a given data pool, and a data mart can combine data from multiple external data sources and tables, making it easy to integrate and cache combined data sets from multiple external sources. Importantly, this entire pipeline all happens in the context of a SQL Server big data cluster. The data never leaves the security and compliance boundary to go to an external machine learning server or a data scientist’s laptop. The full power of the hardware underlying the big data cluster is available to process the data, and the compute resources can be elastically scaled up and down as needed.